Today's DIY trends continue to expand, and big home improvement projects are one of the most exciting ways that homeowners can customize space. All the television shows make it look incredibly easy to send in your contracting team for a big-time makeover. The reality is usually a much messier picture until it’s done. Consider the overall investment and the potential budget overruns due to a problem or new idea you find during the project. The first step in any home improvement project is to define the scope of your project. 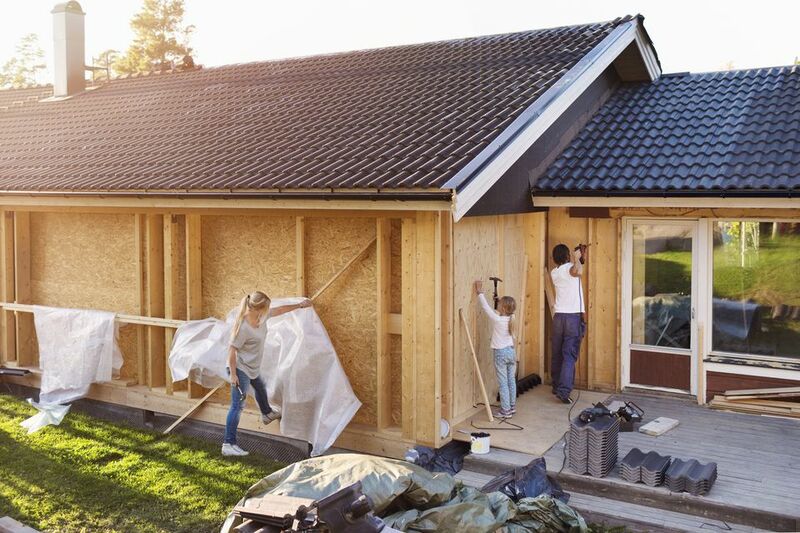 Are you attempting to gain more living space by building an addition to your home? Perhaps you'd like to close in a garage or add a bathroom to your basement or other area of your home. Each of these projects can be fraught with hidden costs that can throw your budget (and timeline) into a tailspin. Be very specific as you determine what you want to accomplish, so your contractor or designer will have a solid understanding of your project and be able to quote it more accurately. For example, the average cost to build an addition is slightly over $42,000, making this a big investment in your property. Depending on where you live, you can often recoup a significant amount of money on your remodeling investment—up to 125% if you live in Connecticut, for instance. Cleaning out your garage and closing it in is only the first step! Renovating or converting your garage will set you back around $11,000, but you potentially stand to gain a nice space for relaxation or crafts—or just to create a man-cave. Recouping your investment can be straightforward, as you're able to add this square footage to your home if you have heating and air conditioning added to the usable space. It's always best to budget additional funds—at least 10-20% of the total budget—for this type of project, so you can power through any challenges you find. Unless money is no object, enter any home improvement project expecting to compromise. Whether this means limiting the size of your upgrade or reducing the fixtures, expect at least one trade-off. Factors like the time of year and labor costs can throw off your planning or budget. Try to start with your "perfect world" home improvement project. Then, immediately start looking for places where you could afford to cut. Always keep in mind how your family will use the addition both now and in the future. When children are growing, houses often feel too small. However, when kids leave the nest, you don't want to have more house than you need as you enter a new stage of life. Nearly every home changes hands at some point. Resale value in your home can decrease if you make changes that are less appealing to potential buyers. When you make a change that isn't popular in your neighborhood, like reducing the number of bedrooms or bathrooms to make a larger space, it may be harder to sell in the future. That doesn't mean you shouldn't take your current needs into consideration, just that it's good to consider what a renovation will do to your home's value down the road.